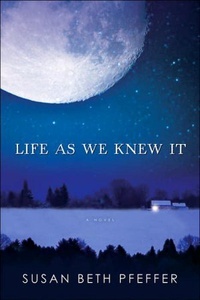 Until an enormous meteor hit the moon and knocked it out of orbit, wreaking unbelievable environmental havoc on earth, 16-year-old Miranda worried about ordinary teen issues such as a date for the prom, her father's new wife's pregnancy, and her best friend's religious transformation. Now, holed up with her mother and brothers in rural Pennsylvania, Miranda wonders about her future as she watches the world crumble under tsunamis, flu epidemics, earthquakes, and volcanoes. This gripping young-adult novel raises a host of fascinating issues and will have readers wondering what they would do.